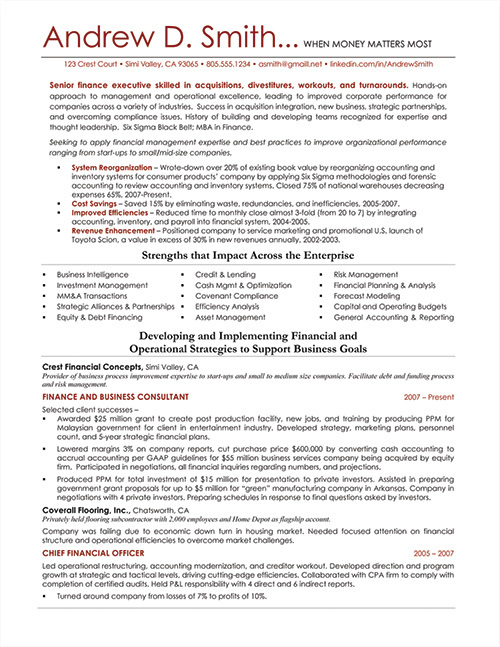 Differentiate yourself and ignite immediate interest with a contemporary, customized résumé that delivers your executive brand and creates high levels of distinctive value for your background, accomplishments, expertise and unique competencies. 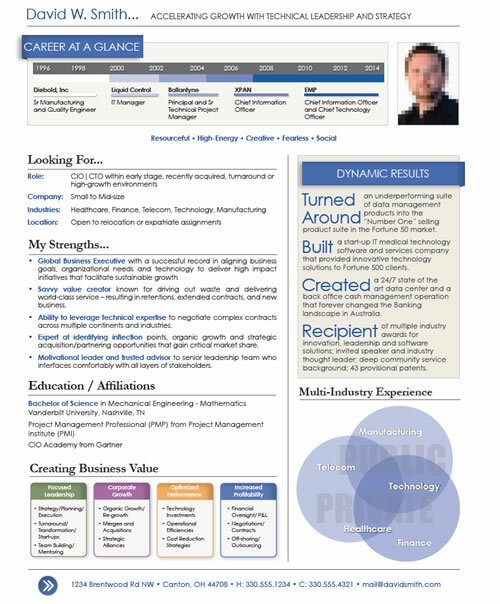 Present your career history and your unique business value in a customized personal marketing portfolio that combines the information from a ValuCentric Résumé and ValuGraphic®, wrapping content-rich text with graphics. 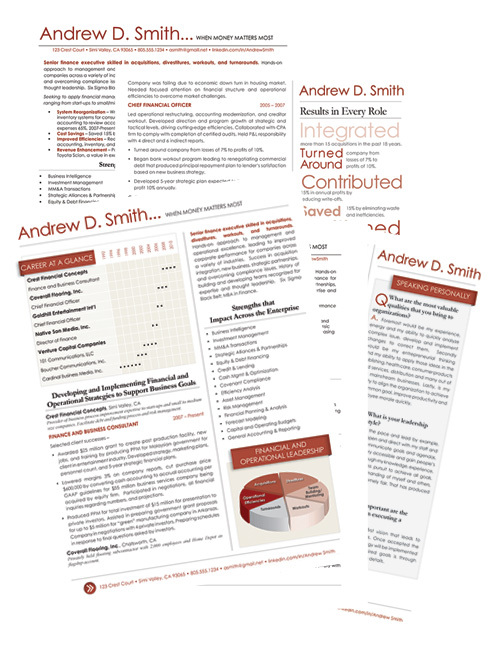 This three-piece package includes a ValuCentric Résumé, a one-page ValuGraphic® and an Executive ValuGraphic® and is perfect as a leave-behind for interviews or handout at networking events. An effective piece specifically designed to help you be successful in your networking campaign. Introduce your credentials and describe yourself for a specific position in the most compelling way possible. Create cover letters and emails targeted at three of four different audiences: recruiters, company hiring managers, job postings or network contacts. 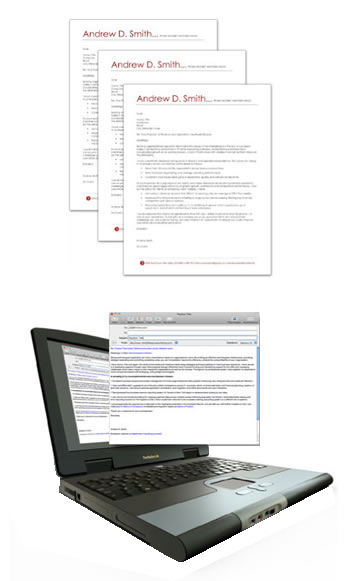 These three email templates are specifically targeted to help you network with a connection to ask for an introduction online, connect with a stranger on ExecuNet and/or LinkedIn to request their assistance, or to inquire about a job posting.